You’ll become part of our relaxed and friendly environment where staff and students get to know one another and encourage each other in their intellectual journey. As well as supporting your academic achievements, your wellbeing is important to us and a range of experts on campus will provide professional support when you need it. Postgraduate researchers in the School of Philosophy, Religion and History of Science have access to a range of opportunities. You’ll be able to attend research seminars, such as the Mangoletsi Lecture Series, which address numerous topics. Most of the events are open to a general academic audience and you’ll be able to meet like-minded scholars and build up your professional network. You'll be encouraged to attend and present at external conferences and visit external libraries, including the Leeds Library and the Central Library, both within walking distance of campus, and the British Library’s Boston Spa Reading Room is a short bus ride away. Leeds University Union and the Language Zone offer opportunities for you to meet people from across the University and take a break from your research, whether you want to join a club or society or meet up with a language exchange partner to practice a new language. The Union also organises a number of dedicated postgraduate activities such as postgraduate pizza and film nights, walks and garden therapy. You’ll have access to the Library’s researcher support programme which will show you how to make your research more visible, how to search for literature, issues around copyright for PhDs and much more. 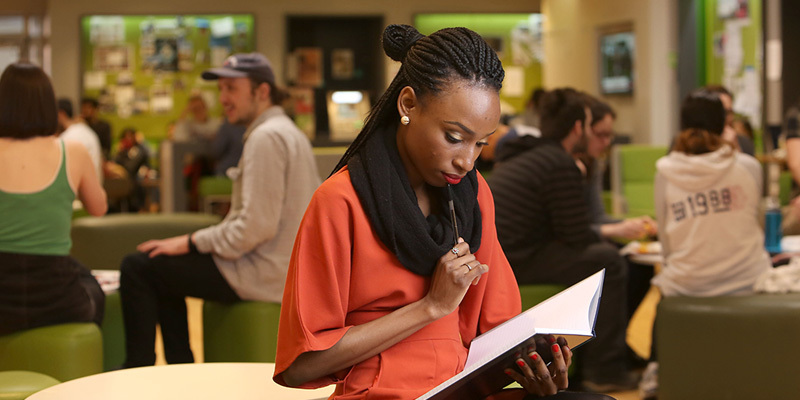 Being a research student the School of Philosophy, Religion and History of Science means that you’ll have access to the Faculty of Arts, Humanities and Cultures Graduate School. Staff in the School will be able to assist you with any specific queries you might have about your candidature; from funding payment and extensions, to training opportunities and graduation.